Orphaned, neglected, abused, abandoned or trafficked, our children often arrive with health and developmental problems. They were deprived of the nurturing family environment that teaches children about communication, social skills and personal hygiene. They did not receive a balanced diet or proper medical care leading to many becoming malnourished. Some have even suffered permanent physical disabilities due to improper infantile care. Here at Yaowawit, we have created a sanctuary for our children between 3-18 years old to learn, grow and thrive in. 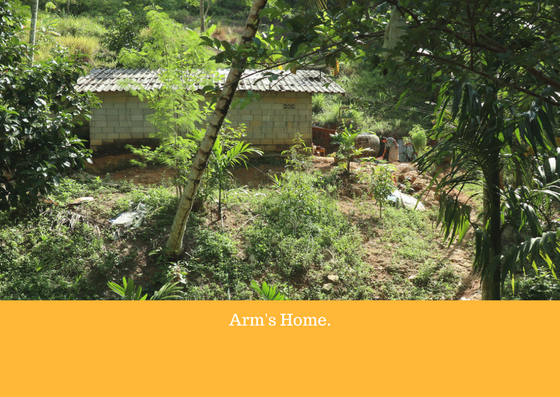 Not only do we provide them with a high-quality education, a balanced diet and medical care, we provide them with a home. Under our care, the children learn how to play, make friends and have fun. We teach our children about social and personal skills including team work, empathy, self-discipline, personal responsibility and self-confidence. The children love and care for each other as though we were one big family. At Yaowawit, we empower our children, we believe in the potential of each child to break free of their pasts and reach their goals. Each child broken free of poverty now will influence their own families and communities in the future, improving the lives of everyone. During the period of January through March of every year, the school will announce the admission of Kindergarten to Primary students through radio communication, local newspapers, and with the coordination with the Office of Sub-District Administrative Organization in the area of Phang Nga, Krabi, Ranong and Suratthani. This is an essential method of recruiting targeted students in the appropriate communities. 1. New students submit application forms together with an identification letter certified by the head of their community which describes the reasons behind for the potential candidate’s enrolment. Those students who wish to enter during an ongoing semester (primary school level) or via a school transfer must provide a letter of intention by the former school’s director describing the valid reasons for enrolment. 2. 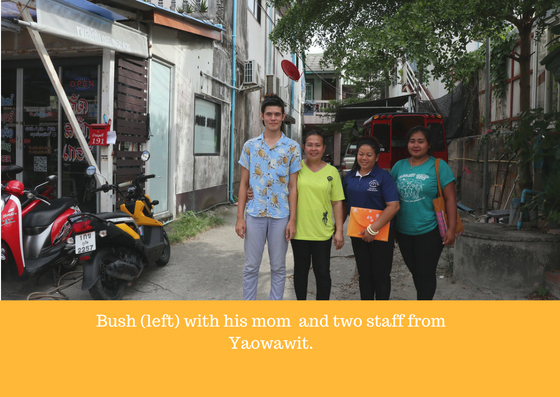 The school then assigns selected teachers and staff of the foundation to visit student’s home to ascertain pertinent information regarding the potential student’s family situation. 3. An appointment is then scheduled with students and their respective parents or sponsors for an interview at the school. 4. Board members along with the school director and manager of the foundation, academic teachers and boarding school officers will review the candidates information and situation. Due to the fact that Yaowawit has limited facilities of classrooms and accommodations, particular requirements for admission are needed to ensure that eligible students come from targeted groups. Importance is placed on giving an excellent education to those that are in need and the goal is to promote self-reliance through education. Accordingly, only two children per underprivileged families are admitted. 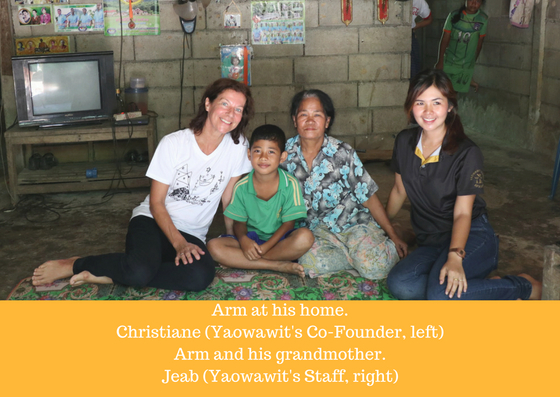 Every year during the summer holidays – which last from beginning of April until mid of May – a team from Yaowawit consisting of teachers and parent teachers visit each student’s home – not only the one’s already living at Yaowawit but as well the homes of children who newly applied. The children’s parents/guardians gave the team a warm welcome, some served snacks and soft drinks for the special occasion. 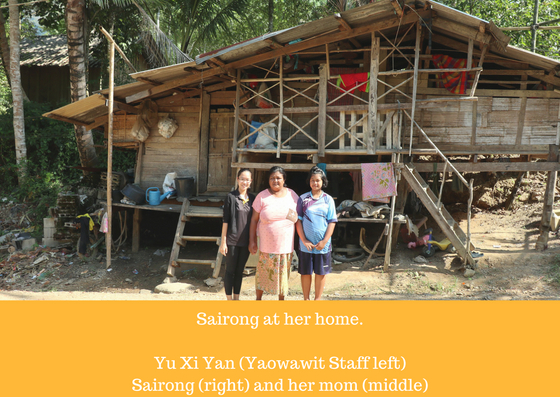 All of them are extremely grateful for the chance their children are offered at Yaowawit. As it is true that some parents just disappeared, some are violent and some neglect their children, the majority of our students come from extremely poor families. 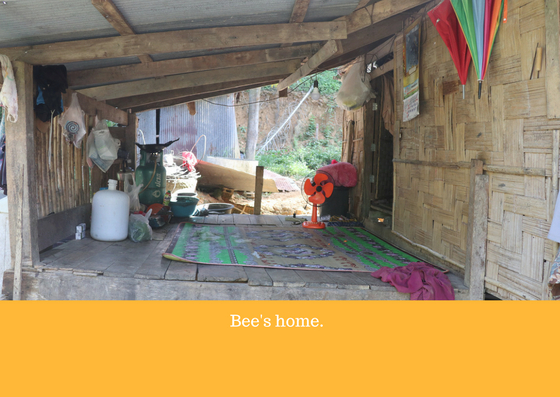 Visiting them at their homes is a humbling experience. We at Yaowawit are seeing many families in need, but also the happiness of the children when they are at school. We are extremely grateful that we can provide an education that leads them into a future with a more than decent chance to get a job that can provide for them and their families.